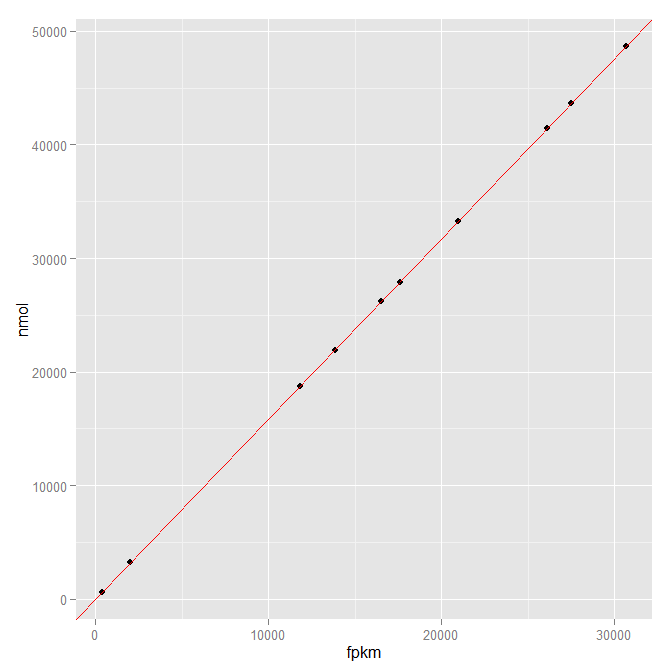 What I want to do now is calculate the total amount of sequence space each gene represents, and use that to calculate a probability of RNA-Seq reads coming from that gene. A simple example: if there are 10 copies of a gene in the mix, each of 1000 nucleotides long, then the sequence space of that gene is 10,000 nucleotides. So for perfect simulated data, the number of molecules (transcripts) in the original mix correlates perfectly with FPKM.